I’ve been wanting to write a post about antiperspirant vs deodorant for ages and every time I sit down to write it I chicken out because it seems like a slightly bizarre thing to be writing about. But it is also something I feel quite evangelical about so I’m going to do it anyway! One week later I met the most amazing guy (ever!!) and not long afterwards we were living together, which was how it stayed for two years. So much for being young, free & single!! One of the things about the amazing guy was that he was an eco-warrior, light-years ahead of his time and he was absolutely passionate about looking after the planet as well as his body & soul. I used to laugh at him for always rinsing the washing up before it was dried, but he insisted that chemicals in the washing up liquid were damaging to our bodies, and so I kept laughing and he kept rinsing. In the years since then I have often smiled because I always rinse any washing up that I’ve done by hand and I now believe that he was right all along. The other ‘eco’ thing I remember about him is that he only used deodorant, never antiperspirant, because he believed that disrupting the body’s natural sweat mechanism was hugely damaging to the body. I didn’t change my behaviour on this one until fairly recently, but I have often read articles (like this one) debating the pros and cons of antiperspirant vs deodorant which brought about a gradual change in my thinking. I started experimenting with deodorant, rather than antiperspirant, late last year but the problem was that I couldn’t find a product that I liked enough to make the swap permanent. I tried a few brands (roll-on or stick – I don’t like aerosols) but they felt horrible on my skin. And then quite by chance I came across an online discussion and saw someone recommending a brand called Native. She said it was a brilliant product and that the company offered free shipping, so I took a look. And then I didn’t use my Native deodorant for a while because I didn’t really think it would work. And then I started using it sometimes. And then I started noticing that my skin felt a bit sore on the days I used the antiperspirant instead. So now, I just use my Native deodorant all the time. The trade off is that I do sweat a bit more – of course that’s actually the whole point, letting my body do what my body needs to do – but given that we have had some pretty extreme temperatures lately I am super-impressed by this product. It is made from natural ingredients, contains no aluminium and is paraben-free. It has ingredients to absorb moisture and others to eliminate odour-causing bacteria. It feels really nice to use (not sticky), it smells great (there are loads of options to choose from) and it lasts really well (which more than offsets the slightly higher cost). So there you go. My thoughts on antiperspirant vs deodorant in case you are thinking about making the switch too. 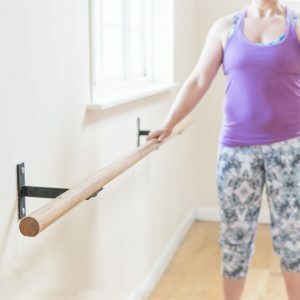 what can Barre Pilates do for me? 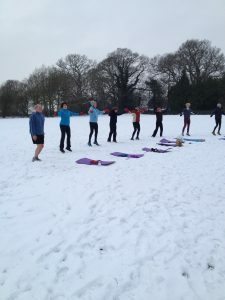 Over the past 24 years I have taught (and attended) a very wide range of fitness classes and during that time I have often changed my mind about which class is my favourite. Like most things, fitness classes go in phases (I think I always knew that slide was never going to last!!) and gradually evolve as new options come along, and that is one of the things I love most about this industry. Regardless of the variations available I have always tended to prefer low impact classes – I think I just like to keep my feet on the ground! And although I have never been inspired to dance, I somehow always knew that I would love the discipline of standing work at the barre. So I tried it…and I do! 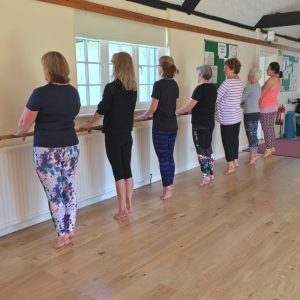 So I trained to teach The Barre Pilates Method and I thought I’d share with you my thoughts on the benefits you can expect from Barre Pilates. Barre Pilates is a great addition to your regular fitness routine, and a perfect complement to other classes that you do. If you want to give it a try, I’d love to see you at the barre!